the house was pretty comfortable and was filled with almost anything we needed. washing machine toaster coffee water and even raki. Very big and absolutely clean apartament. The owners Mary and Michael are very warm and friendly people. Mary is also fantastic cook! They invited us for a barbecue party, which was great oportunity to meat some people from the Vori Village and to taste fantastic food made by Mary and Michael. 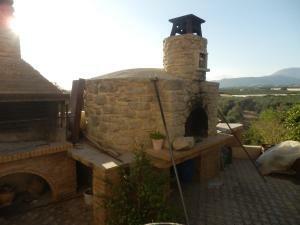 We can highly recomend especially for those who want to taste real cretan life in a small village. For the people with the children as well. (Michael has a farm with the animals). Lovely holiday, we would like to come again. Vojta&Eva&&Sofia from Prague. Very friendly and helpful host who ensured we had everything we needed. Very clean accommodation, great patio area to front of property and mini breakfast provided in rate. Apartment is huge: 2 big bedrooms and beautiful fully equipped kitchen. 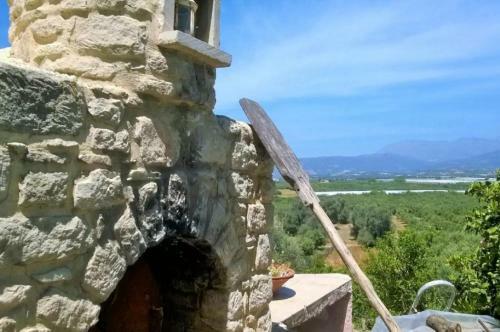 It's located in small lovely village, where we found out great taverna with home made cuisine, and it's about 20 min. by car to the beach. BUT what we liked the most where our hosts Mary and Michael...there are such lovely people, very friendly and hospitable. They invited us to their place for a dinner - and everything there was amazing. If you want to experience of real Cretan hospitality, their great food and vine this is best place to go! 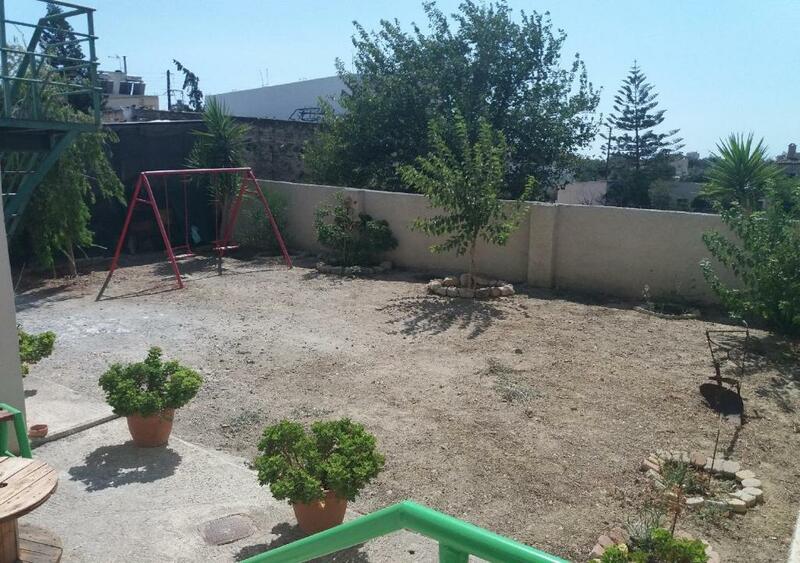 Comfortable two bedroom apartment on outskirts of village. Very friendly host who was helpful despite our limited Greek and his limited English. Breakfast a bit Spartan, but there are two mini-markets close by. Ten minutes drive from Phaistos, which we did late afternoon/early evening and had it almost to ourselves. Village tranquille très proche du site archéologique de Phaestos. Maison agréable et propriétaire très sympathique. Logement très calme avec jolie terrasse. Die Vermieter waren superfreundlich und sehr nett, Das Haus war sehr sauber und mit allem was man braucht ausgestattet, es gab sogar mehrere deutschsprachige Fernsehprogramme. zum Strand nach Kalamaki ca. 15 Min. Любим с семьей "погрузиться" в страну пребывания), очень подходящее для этого место. Спокойная деревушка, пара кафе и пиццерия. Очень приветливые люди. Хозяева были у нас замечательные, очень милые люди, все описанное соответствовало действительности. Просторные апартаменты, для троих человек более чем достаточно. Конечно такой отдых не возможен без авто.... пляжи в 5-20 минутах езды на выбор и не многолюдные, крупные магазины в соседних населенных пунктах, всегда по дороге с пляжа заезжали за покупками, рынки опять же в соседних городах только суббота и воскресенье, езды 10 минут. Vicinanza ai siti archeologici di Festo e Gortyna, nonché al centro turistico di Matala. Casa ampia, dotata del necessario, calda ma con l'aria condizionata perfettamente funzionante. Logement spacieux et très bien équipé, comme neuf. Confortable, propre, calme absolu, près de sites intéressants. Logement pas facile à trouver, demander à l'épicerie dans le haut du village. Lock in a great price for Villas Vori – rated 8.7 by recent guests! 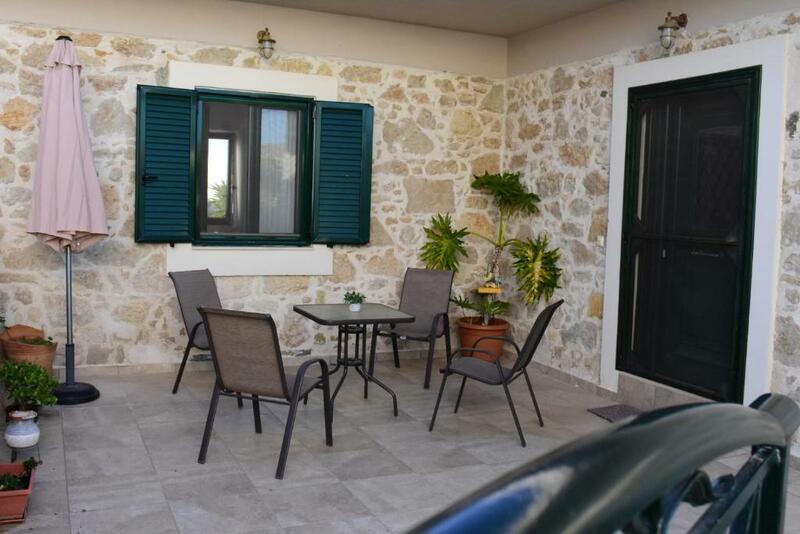 Featuring air-conditioned accommodations with a terrace, Villas Vori is located in Vóroi. The property features mountain and garden views. This apartment comes with 2 bedrooms, a satellite flat-screen TV, and a kitchen with an oven and a toaster. The apartment also comes with a bathroom. The apartment has a grill. There's a playground at this property and guests can go hiking nearby. 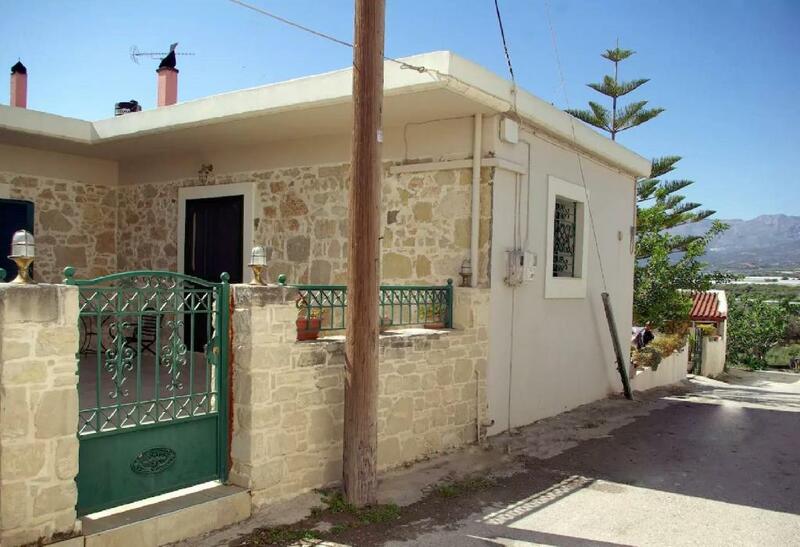 Agia Galini is 11 miles from Villas Vori. The nearest airport is Nikos Kazantzakis Airport, 40 miles from the accommodation. 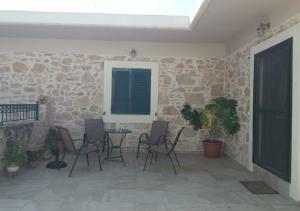 When would you like to stay at Villas Vori? This apartment has a seating area, soundproofing and oven. Villas Vori is a beautiful apartment with two bedrooms and a large living room and kitchen in the traditional village Vori in Messara of Heraklion, Crete. 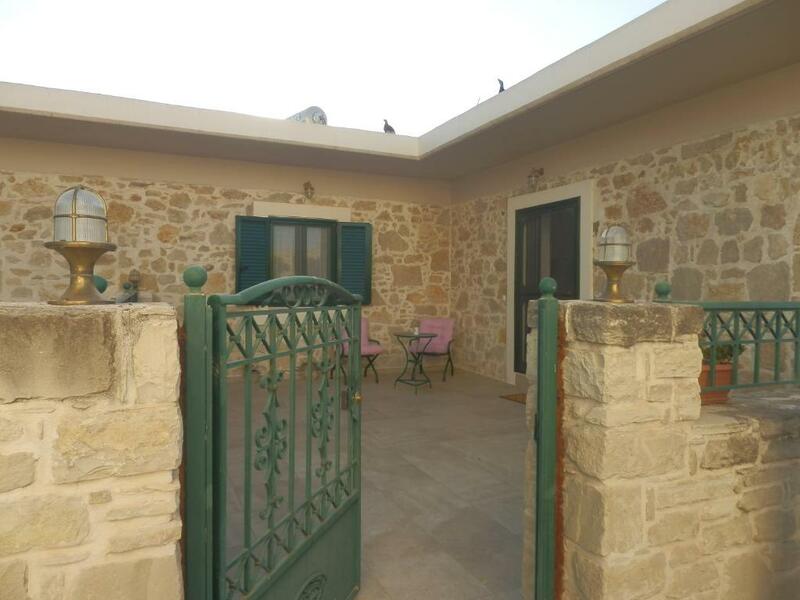 Guests who will choose this apartment for their holidays can enjoy peaceful family vacation, relaxation in the sunny porch reading a book or in the garden watching romantic sunsets. 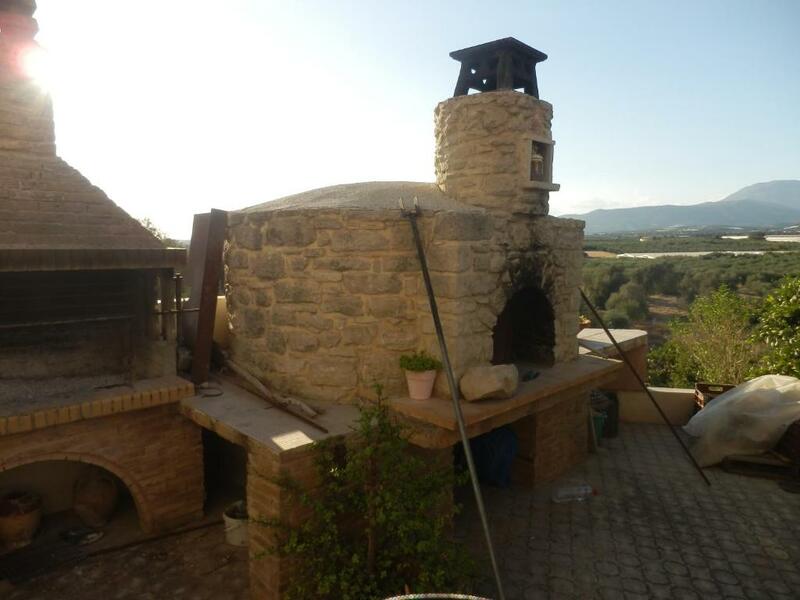 The apartment has a big yard with many flowers in which there is a traditional wood oven and a barbeque so the guests can cook there and enjoy delicious traditional summer dinners. The apartment has a fully equipped kitchen ( Kettle, coffee maker, toaster, cookware etc. ) also it has oven, fridge, cooking hobs, heating and provides towels and bedding for comfortable staying. 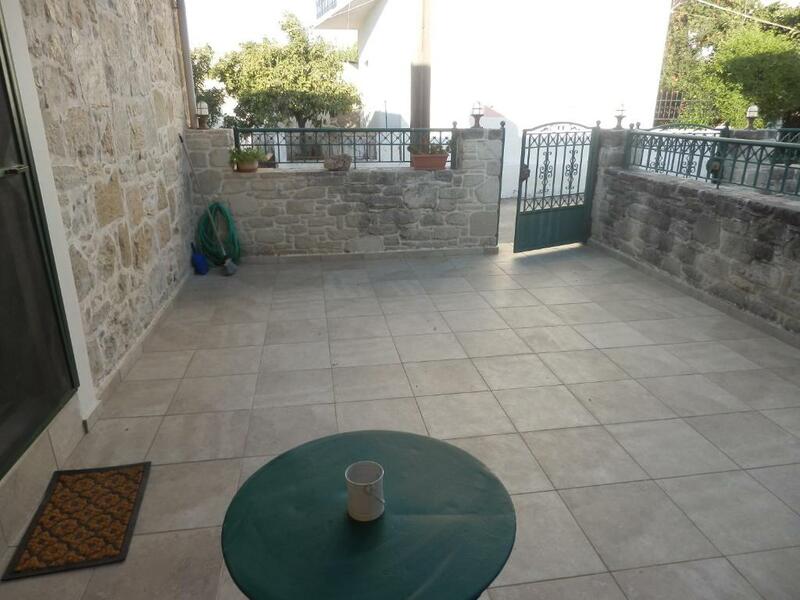 It has a beautiful terrace, a large garden and free parking for your vehicle. Very close to the apartment are supermarkets, bakery, butchery, bookshop, playground for the kids and traditional cafés, tavern and patisserie where you can go on foot. The guests after agreement with the owner and if there is availability, can have an early check in and a late check out. The apartment provides a traditional welcome with local drink "raki"
The owner with his family will kindly welcome you and they will help you and provide you all the information on anything you need to enjoy your holidays. Greek and English speaking. House Rules Villas Vori takes special requests – add in the next step! Please inform Villas Vori of your expected arrival time in advance. You can use the Special Requests box when booking, or contact the property directly using the contact details in your confirmation. Could have done with air conditioning in the bedroom and some kitchen utensils to use when cooking.